This year's cold and long Norwegian winter is far from over. Air from Siberia means that Southern Norway is sniffing at record-breaking low temperatures, and everyone who loves the snow, skiing and other refreshing winter activities in fair weather can look forward to good times ahead. 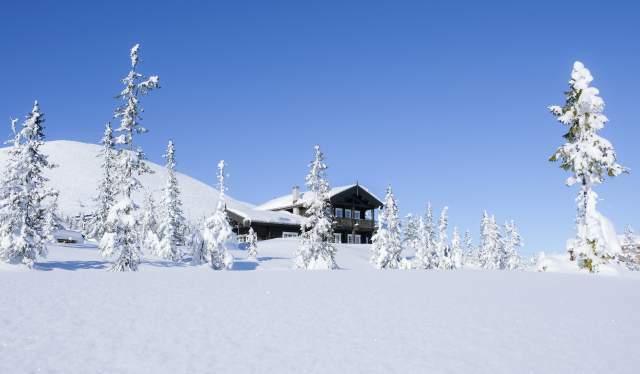 Despite Norway being a real winter wonderland - in the sense that Norwegians are "born with skis on their feet," according to an old adage -there are major variations in snowfall, temperature and other natural conditions from year to year. This season, however, there is no doubt that "King Winter" is in a generous mood regarding cold and ideal conditions for outdoor activities. In an interview with NRK, State meteorologist Geir Otto Fagerlid shares his forecasts about the weather in the coming period. In brief: Sub-zero temperatures have no immediate plans to loosen their grip on the country. "We see no end to the winter," says Fagerlid to NRK. Among other factors, he points to the cold coming from Siberia in Russia – a front that is affecting all of Europe these days. He says that it is particularly the southern part of Norway that is benefiting from this. "Oslo may get down to 18 degrees below zero with Bergen getting down to minus 10. It&apos;s unusual this late in the winter. We have to go all the way back to 1987 to find similar stats," says Fagerlid. The extreme cold is transient, but the Norwegian winter is likely to last a good while longer," asserts the meteorologist to NRK. "The worst of the cold will be short-lived, but we&apos;re going to have a cold period with winter weather for quite some time, probably beyond next weekend and maybe even longer. It may last the entire month of March for all we know." There are countless ways to enjoy the splendid winter weather. Very many Norwegians prefer to put on their skis and head up into the mountains, which is something Camilla Sylling Clausen, General Secretary of the Norwegian Alpine Association, knows more about than most people. 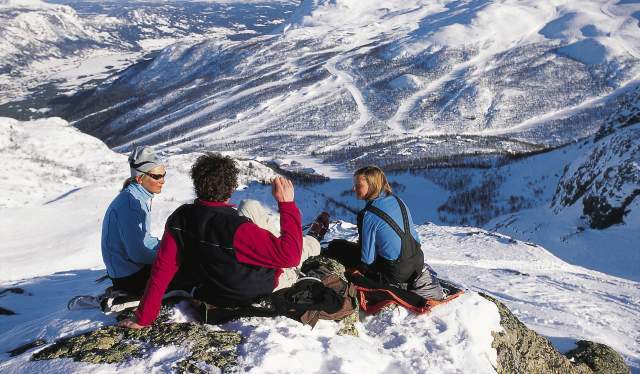 Earlier this year Sylling Clausen predicted there would be a Norwegian alpine season entirely out of the ordinary, and all indications are that she can confidently stand by her prediction as the calendar - at least officially - will soon transition from winter into spring. "It's too early to tell, but it's looking very good. The feedback we are getting is that the facilities are enjoying both higher visitor numbers and plenty of snow. So, it remains to be seen what will happen when we get the numbers from the winter holiday weeks, and how the visitor numbers will mount up during the season after Easter when there will hopefully still be lots of snow," she says to Visit Norway. Although March and April are typical spring months, the Secretary General believes that is no reason to put your skis away. "Easter is early this year, and we hope that people will continue to go skiing even after the Easter holiday - ideally all the way to May. We have a great deal of snow, and many facilities are open all the way until the beginning of May. So it's essential to spread the word that spring skiing is absolutely amazing so they will get out there and we can keep the lifts in operation. A number of Norwegians have distinguished themselves internationally in skiing - as well as in other winter-related scenarios - over the past month: When the Olympics in PyeongChang, South Korea, ended this weekend, it was Norway who topped the medal count with 14 gold, 14 silver, and 11 bronze. This is causing a flurry of press coverage worldwide. Trond Blindheim, the rector of Kristiania University College, believes the Olympic effect has immense value for the tourism industry. "This is perhaps the best advertising a winter sports nation such as Norway can get," he says to Kampanje. "In my opinion, spending time outside together, across all generations and skill levels, is just great! 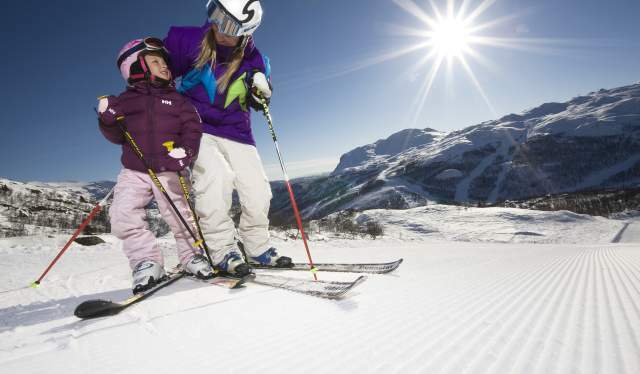 Where else can you hang out with your kids and everyone can have fun on both steep and easier slopes; on snowboards or skis and generally being active - now perhaps while also enjoying some sunshine? This is a great time that can be shared, and there are so many nice memories being made out at the facilities now. You also get to experience mastering something and being physically active, as well as being good for your soul. A complete and up-to-date overview of the conditions on the various alpine slopes is available on Fnugg, where weather forecasts and reports about current skiing conditions at all Norwegian alpine facilities are presented. Detailed reports about avalanche dangers can and should be read on Varsom. Grand snow-filled adventures await you beyond the beaten trails. Here is a selection of them.